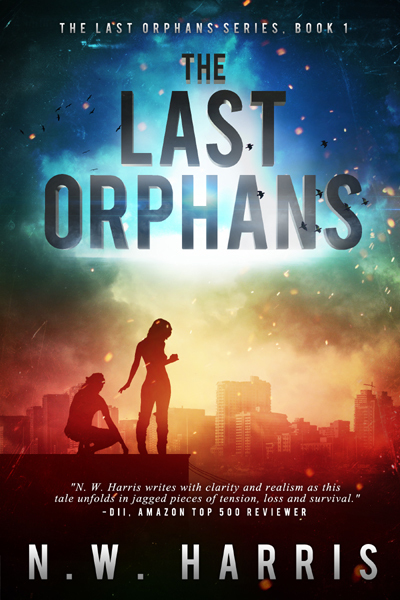 The Last Orphans Series gets a new look! You have to see it. Clean Teen Publishing is proud to present brand new covers for the first two books of N.W. Harris’s Last Orphans Series. And it doesn’t end there! 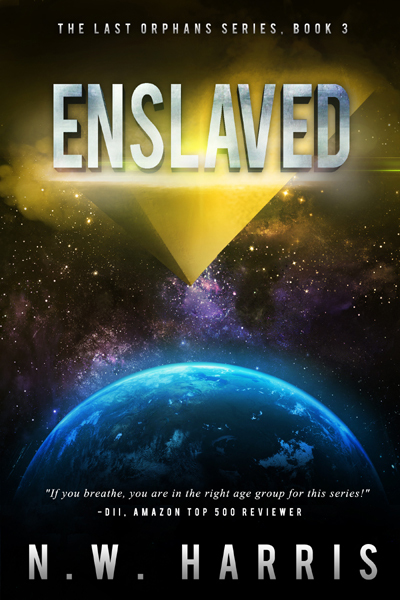 We are also proud to present the cover reveal for the third installment, Enslaved! We’d love to hear your thoughts on the new covers. If he loses her, he’ll lose his will to fight. 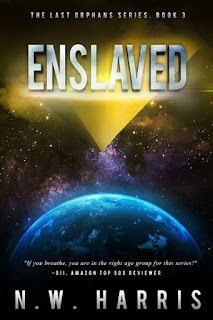 The enemy invades Kelly’s mind, turning her into a slave soldier. She’ll follow their orders, even if it means murdering her friends, including her little sister and Shane. She is helpless, trapped inside her body while it performs heinous tasks under the direction of her new masters, while her sanity and desire to live fade. Shane returns home to make a rescue attempt, only to find Kelly commanding an army of human slave soldiers, and she’s determined to make him join her ranks. 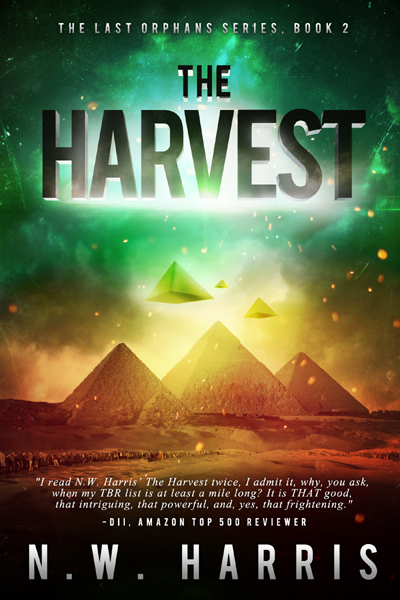 Will Shane save Kelly before she gets to her sister, or will she help the enemy enslave the rest of humanity? Win a CTP eBook of Your Choice!!! Born at the end of the Vietnam war and raised on a horse farm near small town north Georgia, N.W. Harris’s imagination evolved under the swaying pines surrounding his family’s log home. On summer days that were too hot, winter days that were too cold, and every night into the wee morning hours, he read books. N.W. Harris published his first novel—Joshua’s Tree—in 2013. It was no wonder that with his wild imagination and passion for all things word related, that N.W. 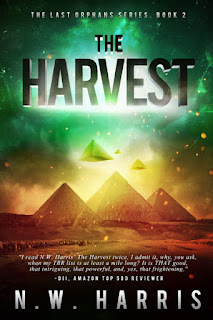 Harris was named a finalist in Amazon’s Break Through Novel Award Contest. In early 2014, N.W. Harris joined the ranks with Clean Teen Publishing when they signed his new young adult apocalyptic adventure series—The Last Orphans. In addition to writing, N.W. Harris has been a submarine sailor, nurse, and business owner. 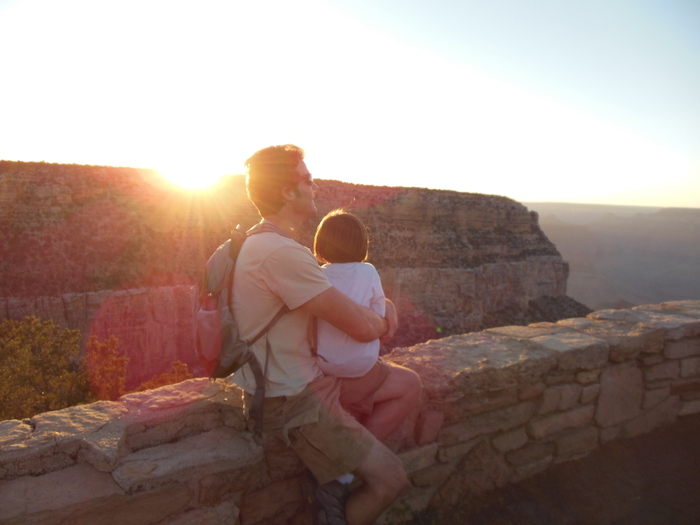 His studies have included biology, anthropology, and medicine at UCSB and SUNY Buffalo. He is an active member of SCBWI and lives in sunny southern California with his beautiful wife and two perfect children. He writes like he reads, constantly.